The important News factors for EURUSD are the Manufacturing Sector PMI in Europe and the unemployment rate staying at 10.3% level. 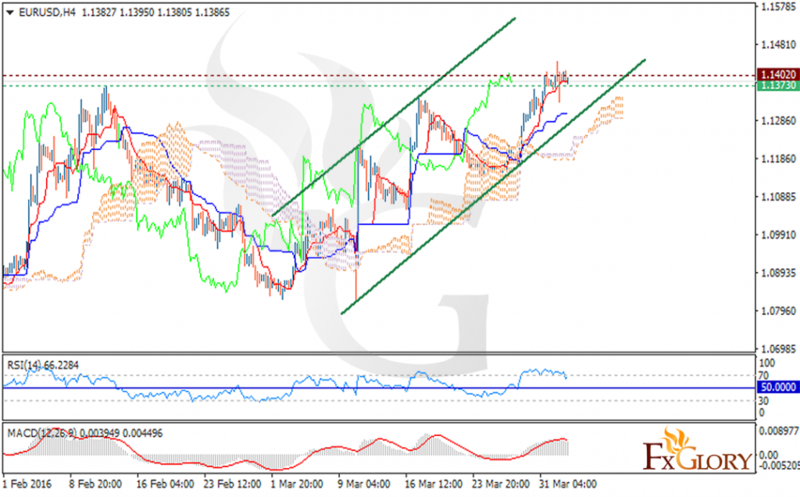 The pair is finding support at 1.1373 with resistance at 1.1402 climbing the ascendant channel. The RSI is above 50 level and the MACD indicator is in positive territory showing the price correction. The price is above the Ichimoku Cloud and the Chinku Span. The Kijun-sen is signaling a horizontal trend while the Tenkan-sen is confirming the price growth. Buyers can open their orders and target 1.1450 which may even reach 1.1550.